The Lingling-o is used as either an earring or a necklace pendant by Filipino tribes on the island Luzon in northern Philippines. It is also found in other areas within the Philippines! The Ifugao, Bontoc, Kalinga, and Gaddang tribes wear them as pendants on necklaces or as earrings. 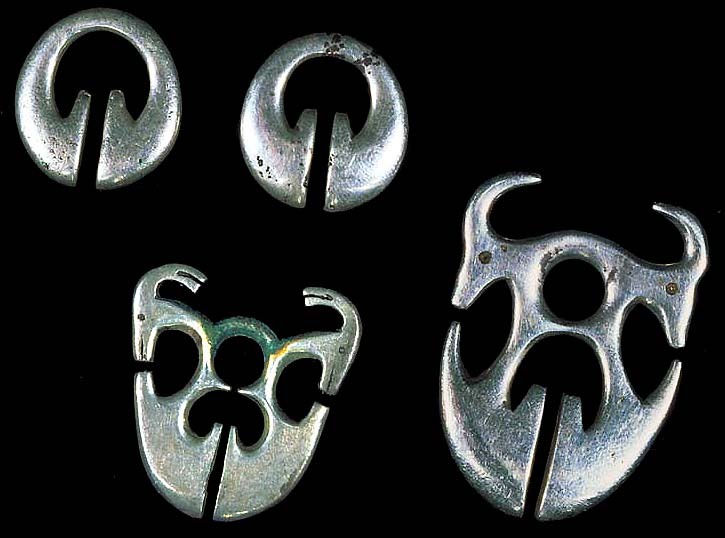 Filipino lingling-o have been dated circa 500 BC. The lingling-o worn by the Ifugao, Bontoc and Kalinga in the mountains of Cordillera are frequently made of silver. Considered very valuable fertility charms linglingo are often wedding gifts. Linglingo can be made of gold, jade, shell, clay, stone, brass or copper. The material used, when making a lingling-o, is a sign of its owners social status.